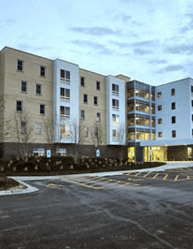 The Summit Senior Villas is an 18,902 square foot two story building containing 18 residential units at the northeast corner of S. 75th Ave. and W. 63rd Place in Summit, IL. The building is of wood construction with a brick exterior with metal panel accents. 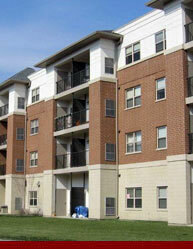 The first floor contains nine 2 bedroom units with an individual front and rear entrance to each unit. The second floor contains nine 1 bedroom units that are served by an elevator and common corridor. The building contains sprinkler and fire alarm system. Each unit contains an individual high-efficiency furnace and hot water heater providing individual control. The Elevator Lobby, Common Corridor and other common areas comprise approximately 2,860 square feet while the remaining 16,042 square feet is living space. A parking lot for 18 vehicles is located to the North and East of the building on the same lot.